Product Details-Capacity - 200ml , Material-non-slip due to rubber feet. Product Information- Trixie Plastic Bowl for Cats It is made from robust plastic, that is extra durable and easy to clean. 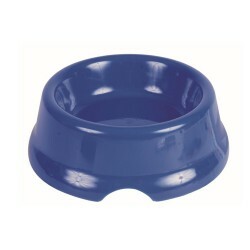 This bowl comes with rubber feet, which means that it will not slide about when your pet is feeding, resulting in less mess, and a more relaxing meal time for your feline friend.